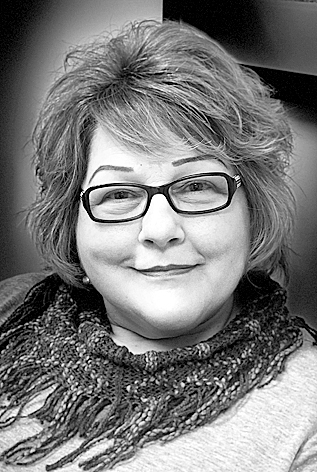 Kimberly Jo Ferree, 63, of Columbus, Ohio, died at 3:08 a.m. Tuesday, March 5, 2019, in the comfort of her home surrounded by her loved ones. She was born June 9, 1955 in Lock Haven to Benjamin and Helen Jo Ann Peasley Ferree. Kimberly is preceded in death by her parents, grandparents Morris and Verna Peasley and friend Linda Bitner. She is survived by three son, Rick (Jenny) Ferree, Brad (Jack) Lucas, and Chad (Lori) Lucas; two granddaughters, Alyssa and Kara; and four grandsons, Chad Jr., Brendon, Justin and Kyle. Also siblings Linda (John) Cunningham, Deb (Jim) Napier and Lisa (Mark) McCullough, all of Grove City, Ohio; Lori, Carey, Curt (Mary) and Tammy, of Lock Haven, and Benjamin (Vivian) of Joliet, Ill., as well as several nieces, nephews, cousins, great nieces and nephews and tons of friends. Kimberly was a long time resident of Columbus, where she lived since leaving her childhood home in Lock Haven at the age of 32 to join her sisters in hopes of providing a better life for her sons. She worked for Robertshaw, American Pacific, Eddie Bauer and The Gap. She enjoyed spending time with her family and friends, watching television and was loyal to her Christian faith. She attended church at Lighthouse Ministries on South High Street in Columbus up until the time she became ill. She loved visiting with friends in Columbus and Lock Haven.